My latest Commission (acrylic on canvas) and establishing our boundaries. I have been pondering my purpose; wondering my why; ruminating my rationale; discovering my drive. I polled my patrons to see what their top two challenges are. I want to understand the need I fulfill with my art. what problem can I help solve? Establishing boundaries and Self-Care were among the top challenges reported to me. A friend decided to commission this piece when she saw my query. We have both spent time in Africa. I was in Mozambique and she was in Zimbabwe; but for each of us, it was our first time going out of our comfort zones. We both left a little piece of our hearts in the continent. She has been struggling with boundaries. I have been seeking my purpose. I have searched for the answer to this question for a long time. I am here to be here. I must learn to be present in this moment. Could we possibly draw the energy of these moments of trust and surrender and strength and channel them into the present moment? If you like this post, follow me for more - or even better: upvote! 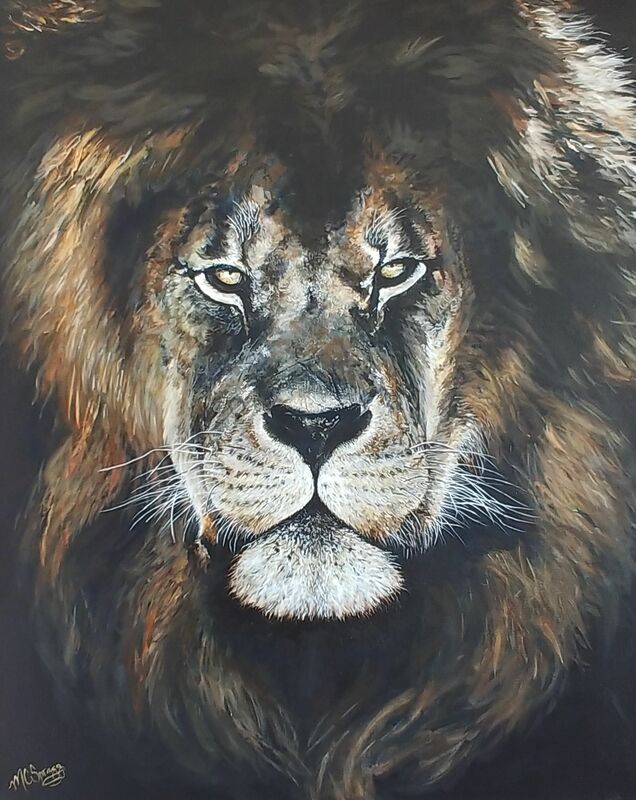 that's a beautiful feline painting.. ♥️♥️♥️lions are good representation for self-worth.. your friend will surely be reminded of this beautiful masterpiece.